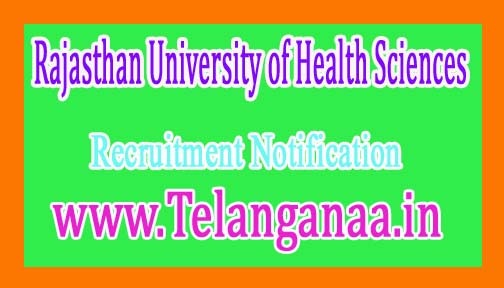 Rajasthan University of Health Sciences (RUHS), Jaipur invites Application for the post of 684 Medical Officer on direct recruitment. Apply Online before 03 January 2017. Educational Qualification - Candidates must be M.B.B.S. and registered in Rajasthan Medical Council. Selection Process - Selection will be based on Competitive Examination. How to Apply RUHS Vacancy - Interested Candidates may apply online through RUHS website www.ruhsraj.org from 17.11.2016 to 03.01.2017.